How do you glam up your holiday party outfits? I feel that the perfect piece of jewelry can really change an outfit and make it stand out. 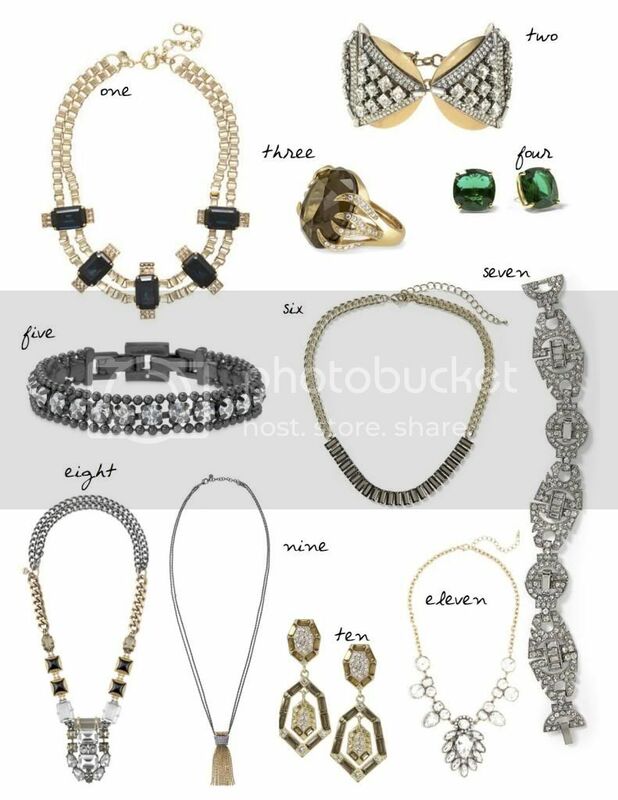 If I have one stand out piece of jewelery, like a statement necklace, I usually play down the rest of my accessories so that they do not compete with one another. The last thing you want is to look overdone. Below are some of my favourite picks for the holidays this year. Is there any specific jewelery piece catching your eye right now?